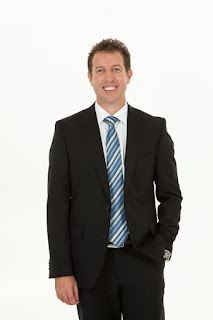 This is a must-read for entrepreneurs who want success in their respective business. Laura Dunagan was born in the gold prospecting days of rustic Alaska in the early 1900's. When Laura was 14 years old her father was trapped under a mudslide while prospecting in a nearby river and died. Laura was forced to move to Chicago in the care of her rich Uncle Joe. Laura hated Uncle Joe because he forced her to leave the river, but also because he had left the family prospecting business to move to Chicago years before she was born. Laura discovers that Uncle Joe made his fortune selling insurance and was the owner of the largest insurance company in Illinois. While wandering through the mansion one day, she found Uncle Joe's personal den. In it she discovered an entire new life that would lead her to heights that she would never have realized panning for gold in Alaska. Uncle Joe used the 6 gold prospecting rules for safety to prospect new clients for his insurance company and in doing so, discovered the secrets to wealth in selling. This is a self-help, educational and historical fiction work that I enjoyed reading. Laura grows from a disgruntled pre-teen to a successful businesswoman under the tutelage of her rich Uncle Joe. It's easy to like Laura and the reader is anxious to find out what kind of adult she will become. Underpinning it all are the six family secrets her grandfather and uncle used to become successful in business. It's stuff that most of us know but don't usually put into practice. Even if one isn't starting a business, the six principles apply in life also. For example, Uncle Joe tells her "You need to ask yourself: what is your desire, what outcome do you want, and why do you want it? It's not enough to set just any goal; a goal should be a tangible idea that stretches you. A goal must have a date or deadline, because a goal without a date is just a fantasy." In other words, keep prospecting! I particularly liked the book because it follows the life of a female as she successfully makes her way in the business world, becoming the greatest prospector in the world in Uncle Joe's words. Disclosure by Sandra: Thanks to the publisher for sending me the book for review. I was not compensated in any other way, nor told how to rate or review this product. Ever since I started my own business two years ago I look for good books that will influence and inspire my entrepreneurial spirit. 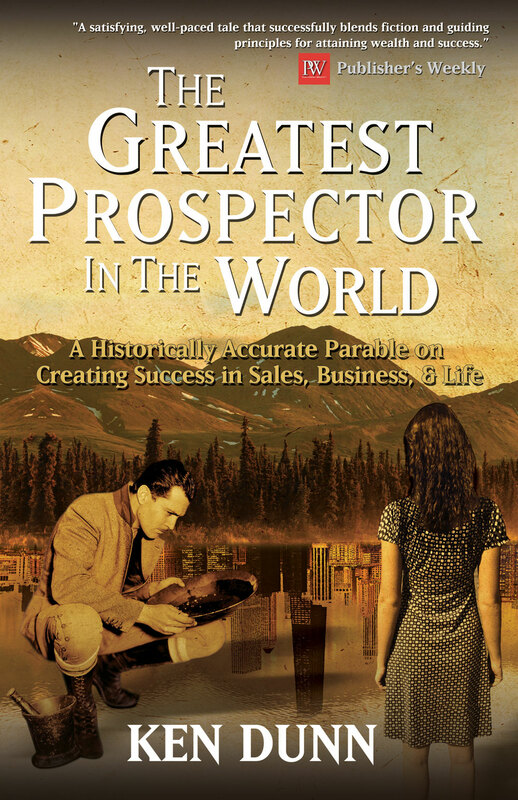 Knowing Ken Dunn is a leader in entrepreneurial information, I was curious about his latest book The Greatest Prospector in the World. It’s unlike any other business book I’ve read because it’s actually a book in the historical fiction genre. I love historical fiction and I love non-fiction books that satisfy my hunger for learning new things. The Greatest Prospector in the World managed to please me on both accounts. Dunn wrote a parable on creating success in sales, business and life through the story of young Laura Dunagan, a tough tomboy who grew up with her Dad prospecting gold in Alaska. When her dad dies and her rich Uncle Joe arrives from Chicago to whisk her away from the only life she knew to come live with him and her aunt in the big city, Laura is resistant. She is mourning the loss of her father who she adored and she is angry with her Uncle. But eventually she learns that her Uncle is not that different from who her father was and she learns life and business lessons from him. I was amazed at how well Dunn develops the story, characters and plot. I was easily immersed into the world of Laura Dunagan, a young woman who now has to find her place in high society while her heart yearns to do more. I loved that Dunn chose a woman, at the turn of the century no less when women still weren’t allowed to vote, to be the entrepreneurial heroine. Through Laura’s struggles to sell sewing machines, we learn what Dunn calls the six secrets to selling by applying the same six rules when prospecting for gold. I thought the six secrets were pretty straightforward but it’s their application that is key. If young entrepreneurs can learn these six secrets early then they will be well on their way to success. Bringing out these six classic secrets through Laura’s story is a good way to remember them and to learn how to apply them. In the end, it doesn’t matter how much technology has made the world evolve. Basic business is basic business and it will always work. The Greatest Prospector in the World can easily become a classic book to be used in business schools because it’s a great way to teach life lessons and it’s far from boring. To read more reviews, please visit Ken Dunn's page on iRead Book Tours. I'm reading this one too. What a great way to teach how to succeed in business by using a story. And as you know both historical fiction and non-fiction are two of my favorite genres. So I'm really enjoying this one.